Belgium, officially known as the Kingdom of Belgium, is a densely populated small country situated in Western Europe. Having a population of 11 million people, this sovereign state covers an area of 30,528 sq km. 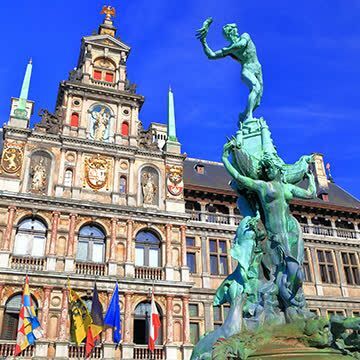 Having seen some major artistic movements despite the linguistic and political divisions, Belgium has a rich history and culture dating back to around 100 BC. Belgium shares its border with Germany, Luxembourg, Netherlands and France. Locals speak French and Dutch, depending on the region they reside and the country they share the border with. Brussels is the capital city of the country and the other important cities include Antwerp, Charleroi and Ghent. Belgium is also known as the battle ground of Europe owing to the fact that it served as the fighting ground for many European countries during both the world wars. After its independence in 1830, Belgium actively took part in the Industrial Revolution. Belgium is very high in HDI and is a highly developed country with an advanced high income economy. Owing to its rich culture and history, Belgium has emerged as a famous tourist destination for people all around the world. There a number of places to visit in Belgium and tourism also accounts for the major influx in country’s economy. It is easily accessible from all the major European countries making it a popular tourist attraction. Influenced by the Atlantic Ocean and North Sea, Belgium has a maritime climate. The summers are cool and winters are moderate. Belgium is a small country and therefore, there is little variation in climate across different regions. You can travel to Belgium via air, railway or by road. Belgium has some world class and very airports in the region. The small size of Belgium, however, does not hold back tourists from visiting the country because of the large number of places to visit in Belgium they find per square mile. Having the European Union Headquarters, Brussels is the self proclaimed Capital of Europe. 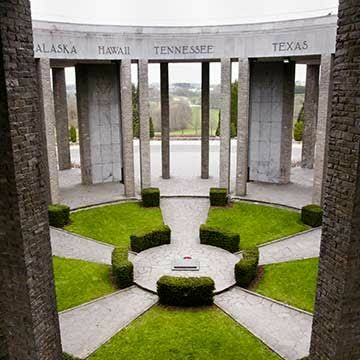 You can visit the numerous historical and cultural sites scattered all across the country. From beautiful spas to many markets full of locals, you will get to find something of interest in this small country and a number of places to visit in Belgium. The rich traditions of the country are a treat to experience along with the rich history of art and music you will find here. You will find a lot of places to eat and drink and there are plenty of museums all across the country to take you thought its history and culture. Belgium has always been a popular tourist spot because of its rich history, culture and traditions. Tourism in Belgium caters to travelers with all sorts of interests and budgets. Belgium’s tourist attractions are extremely diverse and consist of places like historical attractions, cultural masterpieces and modern cities with all the essentials of a modern life. 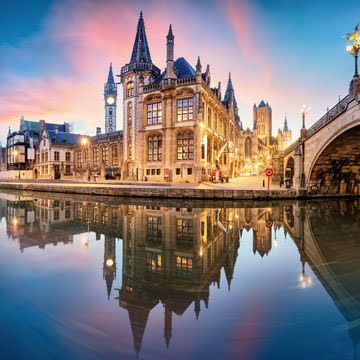 You can begin your trip by planning a visit to the Grand Place, which is by far, the most favorite spots for tourists travelling to Belgium from all around the world. This central square located in the capital city of Belgium is an architectural masterpiece and is also listed in the World Heritage Sites of UNESCO. Voted in 2010 as the most beautiful square in Europe, the Grand Place is a treat for the people interested in history and architecture. If you are looking to visit a modern city and are most interested in festivals, nightlife and funky restaurants and bars, then you should definitely go to Antwerp.. Famous for its restaurants and hotels, the nightlife if this city is amazing and will never bore you. Having the biggest diamond center in the world, this place will give you a gist of the entire country. 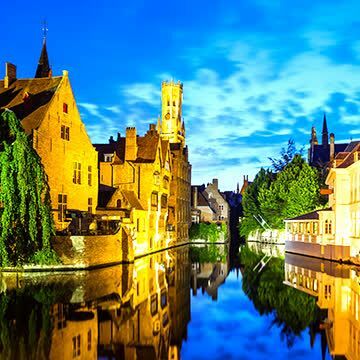 Consider visiting the historic centre of Bruges, which is one of the World Heritage Sites and is famous for its culture and beauty. It is one of the top most Belgium’s tourist attractions. The city centre is closed for vehicles and this provides a unique experience of exploring the stunning beauty of the city of Burges on foot or via a boat. You will find a number of artistic and architectural treasures along with famous chocolate shops, folklores, fine restaurants and high end boutiques. 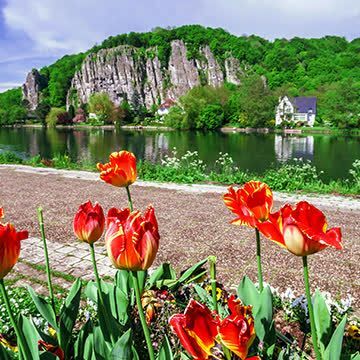 If you want to experience the French side of the country, consider visiting the castles of Namur and the many Chateaux nearby. This French part of Belgium will leave you astounded with its fairy tale type buildings that are famous for their beautiful architecture and history. Having museums nearby, you will be able to find a large collection of stuffed animals here. Orange trees, as old as three hundred years, are also a major attraction of this area. From urban cities to historical places, Belgium offers a wide range of destinations that attract tourists from all over the world each year. 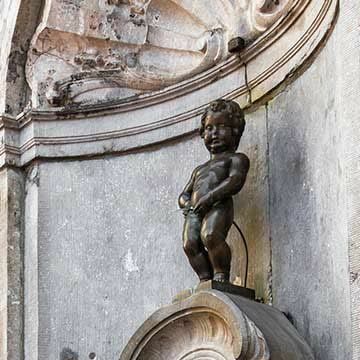 Belgium’s tourist attractions are beckoning you to come visit them soon.